This was our second outing to see the Pepperdine Wave. This time they played against the Gonzaga Bull Dogs. What a Great Day! Waves Win! Check out the pictures of all the fun we had that day here. 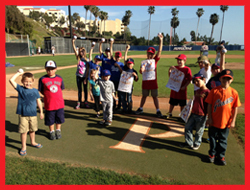 April 6, 2013 - Elite Nine Camps and Clinics comes to Grace Brethren Youth Sports Baseball. 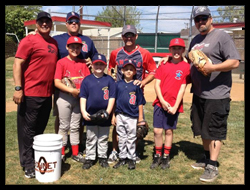 Major League Baseball Players Rich Rodriguez and Dmitri "Da Meathook" Young come to Grace for some Throwing and Hitting camps for the lucky winners of our Opening Day Raffle. Check out the pictures of all the fun we had that day here. 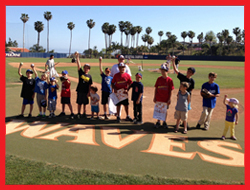 This was a great day for our first outing to see the Pepperdine Waves against the Santa Clara Broncos. What a Great Day! Waves win 19 - 4. Check out the pictures of all the fun we had that day here.